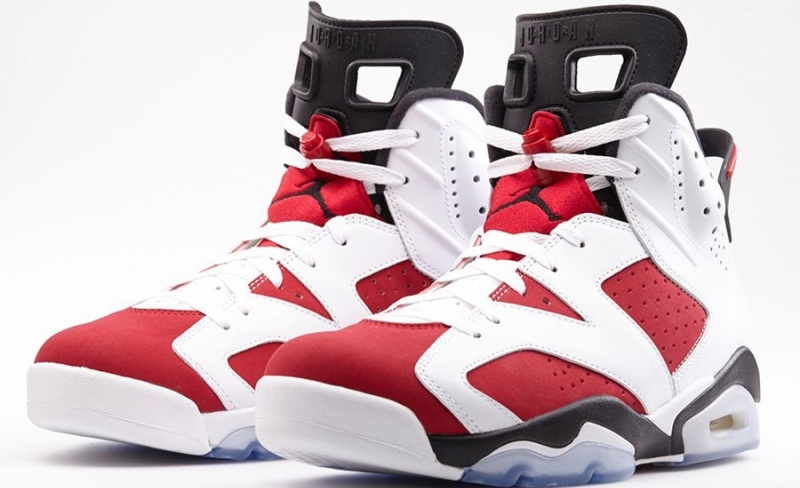 This Air Jordan 6 color way made its way back again in 2014 after releasing in '91 and in CDP form in 2008. Sporting a classic Bulls make up, this retro shoe features Red on the toe box and panels while White makes up most of the other half of the shoe. Black contrasts are present on the midsole, liner, and heel tab while an icy outsole sets off this retro release.